Michael Douglas Lohan, born on the 25th April 1960 of Irish and Italian descent, is an American television personality and former Wall Street trader, who became known to the public when his daughter Lindsay Lohan became popular. So how much is Lohan’s net worth? As of mid-2016, it is estimated by authoritative sources to be $50,000 acquired from his years as a trader, and appearing in multiple television shows. Lohan spent his growing-up years in Cold Spring Harbor, Long Island, New York together with his parents Marilyn Desiderio and Richard Lohan. Lohan’s career started as a twenty year-old Wall Street trader, working on the floor of the commodity exchange. Although his career was potentially very lucrative and so helped him acquire his wealth, Lohan attributed his use of illegal substance during his years as a trader to his downfall. In 1990, he was found guilty of insider trading, and was sentenced to three years in prison. This became the first of many arrests in Lohan’s lifetime. Lohan came to the limelight when his eldest daughter, Lindsay, entered the world of showbiz. Even though the Lohan family has troubles of its own, the father and daughter still maintained a special bond throughout the years. His daughter Lindsay’s troubling behaviour in front of the camera resulted in Lohan becoming a celebrity in his own right. He began appearing in various television talk shows every time his daughter came to notice. These minor guest appearances eventually catapulted Lohan into the limelight, and helped his net worth. 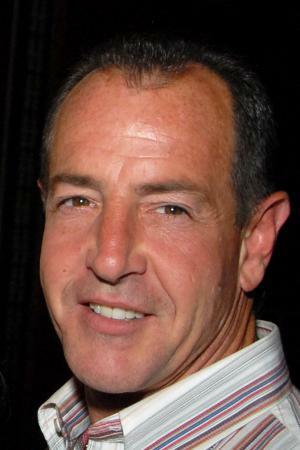 Even when Lindsay was not the talk of the town anymore, Lohan managed to continuously appear in various television shows, and eventually landed his own reality show -“Michael Lohan Reality Project”. The show started in 2007 and it followed the daily life of Lohan covering his career and efforts to reconnect with his family. Although the show didn’t become a huge success it still tremendously helped Lohan’s net worth. In 2010 he also became a participant in the hit reality show “Celebrity Rehab with Dr. Drew”. The show followed various celebrities including Lohan, who submitted themselves for rehab due to alcohol addiction, which he claims might later have lead to the cocaine addiction that he had suffered. In terms of his personal life, Lohan married the former singer and dancer Dina Sullivan in 1985. The couple had four children, Lindsay, Aliana, Michael, and Dakota, before separating in 1989 but later deciding to get back together. Finally in 2005, Dina filed for divorce which settled in 2007. He also had a daughter with a massage therapist Kristi Kaufman Horn, named Ashley. The two were never together, but Lohan is now legally Ashley’s father after revealing their matching DNA on the show “Trisha”. Today, Lohan is living with his wife Kate Major whom he married in 2014, in Boca Raton, Florida. Together they have two children. Place Of Birth Syosset, New York, U.S.
1 He has Irish, German, and Italian ancestry. 2 Former longtime Wall Street trader. 3 Former son-in-law of John L. Sullivan and Ann Sullivan. 4 Former brother-in-law of Matt Sullivan and Paul Sullivan. 5 Claimed to be the father of Ashley Kaufmann. 6 Had a short relationship with Kristi Kaufman, while he was separated from his ex-wife. 7 Son of Richard Lohan and Marilyn Lohan. 8 Inherited a pasta business from his family. 9 Father of Lindsay Lohan, Michael Lohan, Ali Lohan and Cody Lohan.